This mod replaces the booming sound effect that the game plays when initially starting the game (Press any button to start) and launching Adventure or Survival modes with silence. Note: I experimented with placing the mod on different lines such as sResourceArchiveMisc and sResourceArchiveList2 since those lines are shorter and probably less prone to error but it did not work. As of v1.1.1.2, the sResourceArchive2List is current but as the game is updated going forward, you may need to update this line. I will try to keep the description of the mod up to date. 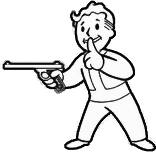 Extract the “sound” folder into your Fallout 76 Data folder. Follow Baka File Tool instructions on creating a new archive for your mods.